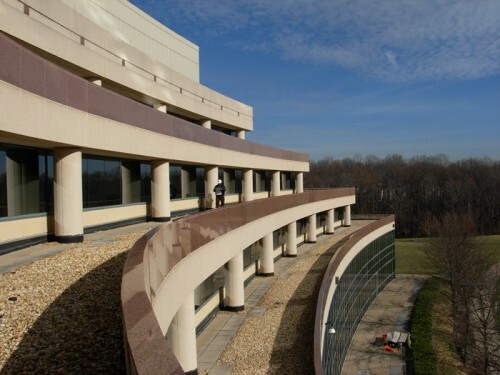 SWSG provided architectural services for Fairfax County to replace the 170,000 SF Government Center roof. A field survey and inspection was performed and roofing assembly sample cuts reviewed. Construction documents and specifications were produced for the replacement of existing EPDM single ply membrane roofing system (ballasted, inverted ballasted and adhered) with new modified bitumen membrane roofing system (3 ply heat welded). 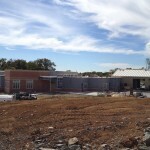 SWSG performed an existing conditions study, and prepared construction documents to replace the adhered EPDM roof with a 17,400 SF ballasted EPDM roof for the Fairfax County Park Authority. In addition, SWSG obtained samples of roofing, roof insulation, and decking to verify moisture content and the extent of steel corrosion. 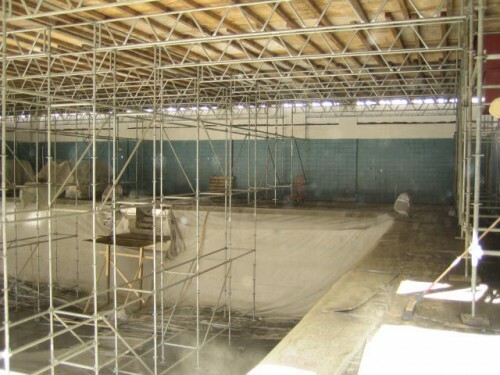 Structural steel over the interior pool was sand-blasted and resurfaced to eliminate corrosion. Large portions of existing decking were replaced and non corroded portions reused. 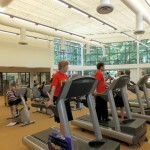 Materials were saved and recycled at the client’s request.